Our Owner and Founder, Andy Snell, met with Fox Wood School to discuss huge playground developments for their new premises. Val Holworth of Fox Wood explained that we needed to meet the needs of everyone in the school which meant catering for a wide range of abilities. This meant our playground equipment had to challenge and satisfy children who run and cycle as well as satsify those who are less mobile and in wheelchairs. 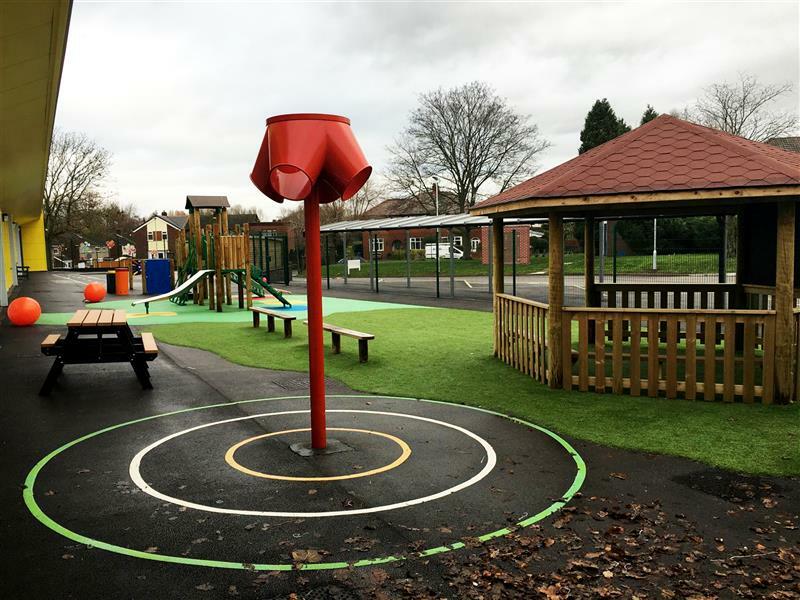 We also had to keep in mind those children who were less able, so to suit all the children of Fox Wood, we had to install a mixture of SEN playground equipment and create unique zones for all the children to enjoy and benefit from. “We emailed around schools within the area to ask which company they used to design their playgrounds. Feedback from Pentagon’s work was really positive. Overall we had quotes from three different companies but only Pentagon could provide the amendments and bespoke work that we wanted." 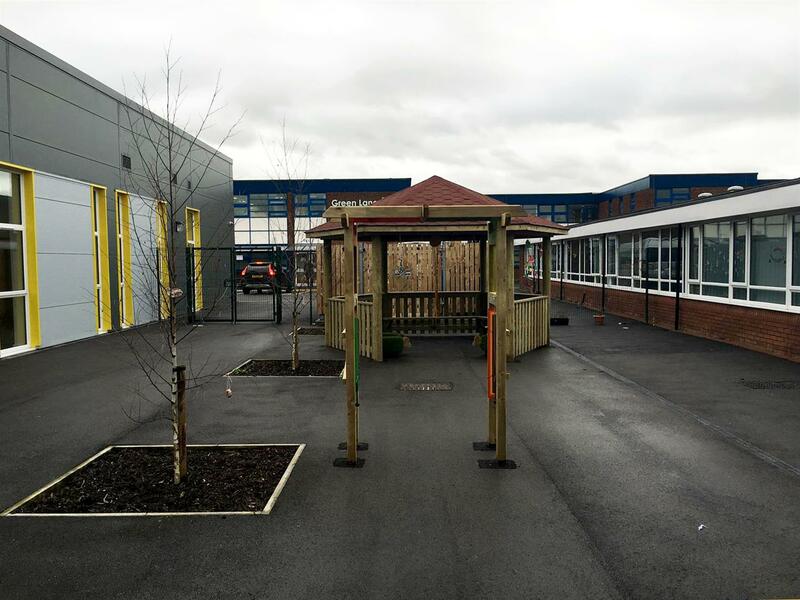 From discussions, it was apparent that the school needed environments to facilitate play and also areas solely for teaching and learning. The reason for this, is because the school has a defined difference between teaching and play spaces. We agreed on creating 3 new playground designs, 2 of the playgrounds would be utilised primarily as play spaces with one targeted at primary children and the other at secondary. The other playground would be targeted for the less able children and was aptly named by the School Council as their Sensational Space. The school was lacking imaginative play opportunities to fully include all the special needs children during play. Imaginative spaces can really facilitate the play needs for a diverse range of abilities and senses and have multiple learning benefits. 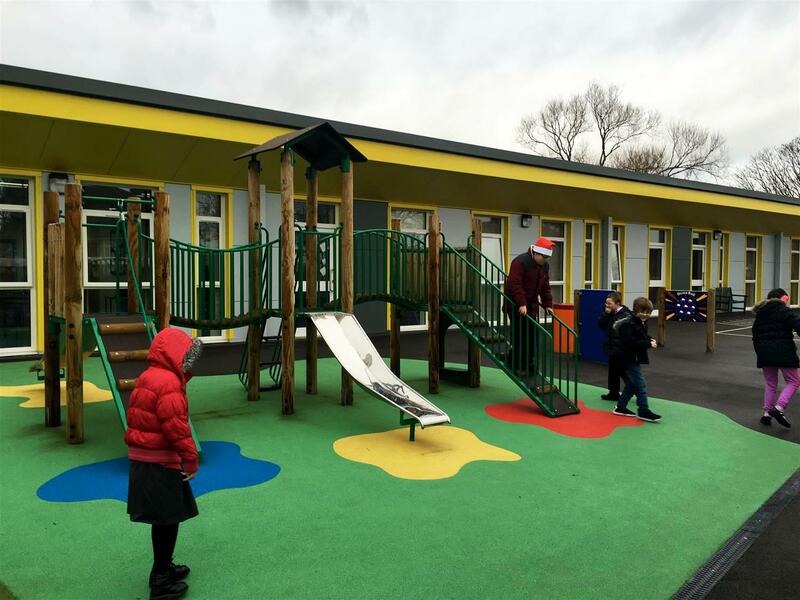 The Sensational Space was an important project for the school’s less able students and for those not interested in exploring the physical play zones we created. Sensory play is important, especially for those with special educational needs, so to begin with. To begin with, we mounted large Tactile Panels onto the school walls to stimulate the children’s senses. 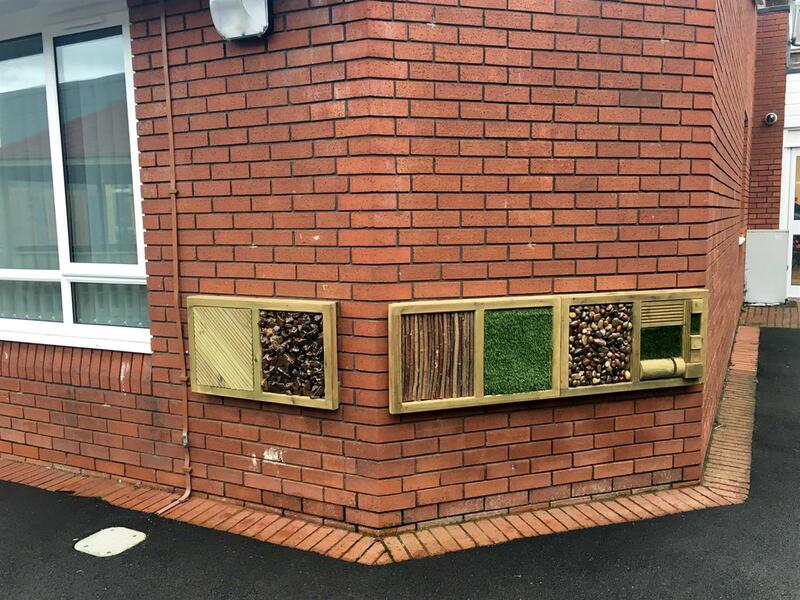 Our tactile panels included jagged rocks, sticks, artificial grass, smooth pebbles and different shaped wooden objects. With so many different textures, the children will enjoy the feel and be fascinated by the touch experiences. These can also be successfully utilised for lessons such as Science and Geography. 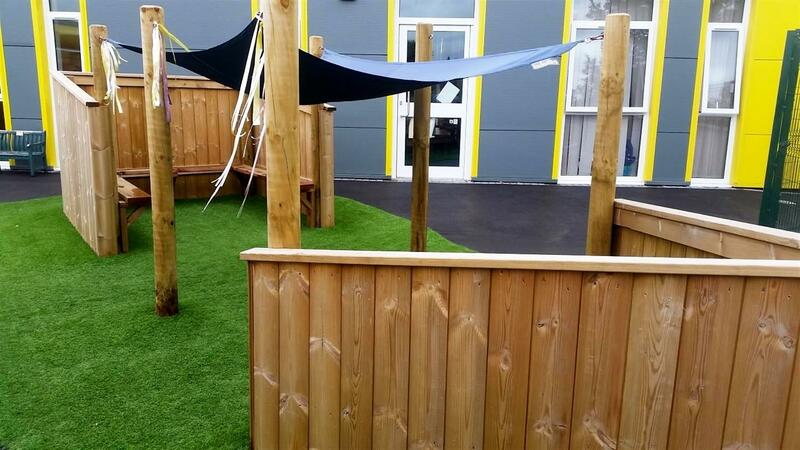 We wanted to create an area where children could become engaged visually and through sound and touch. A unique inclusion was our Sound and Light Archway that included Hand Chime Musical Panels allowing children to create their own musical numbers and learn about sound. We also added our Starburst and Sparkling Butterfly Panels above the chimes to give the children fascinating imagery to look at whilst making music. Children can now walk through this archway and enter their new outdoor classroom. The strings attached to the roof allow teachers and children to hang interesting decorations which can be themed throughout the year. We then added Sensory Panels to the area that would further enhance different aspects of sensory play. For Instance, our Sunnyside Farm Panel creates farm yard animal noises and our Make It Rain Panel includes a rotating rain wheel that can spin around with ease. 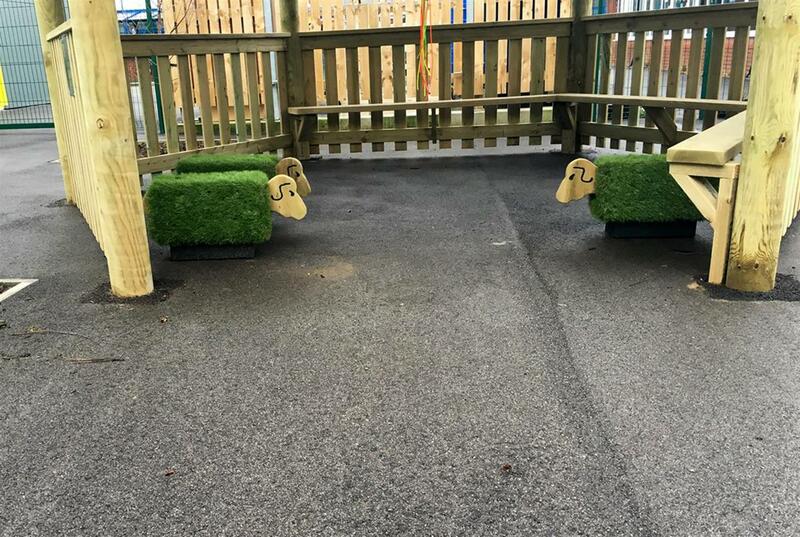 We thought for a fun but beneficial extra, we’d create Sheep Grass Seats that can be placed anywhere around the playground to encourage social interaction while meeting the need of those seeking sensory stimulation. 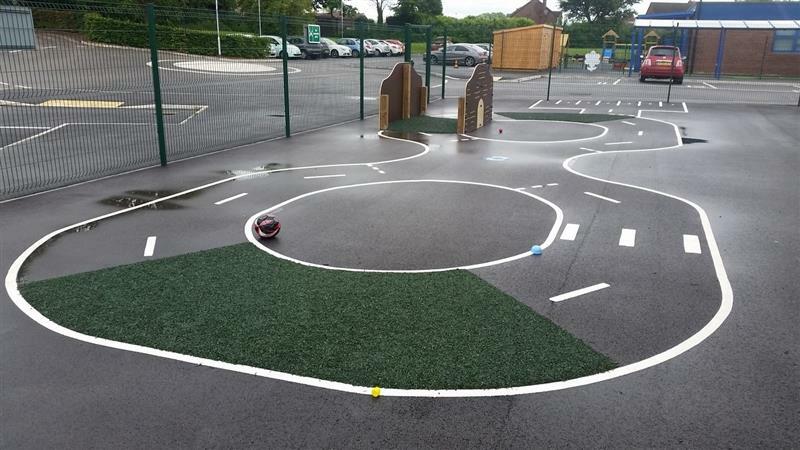 The grass affect was created through the use of our natural looking Playturf. “I just think it’s lovely”. 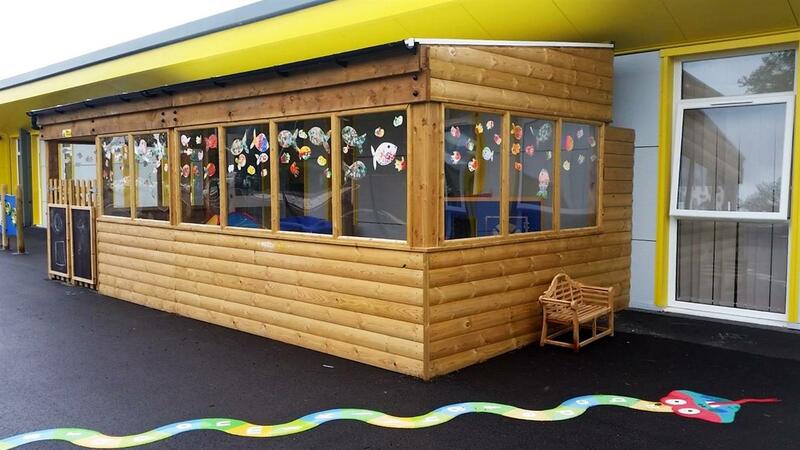 Fox Wood's Sensational area can now be enjoyed by the less able students during break and lunch times and can also be utilised during lesson time for subjects such as Science, Reading and Music. 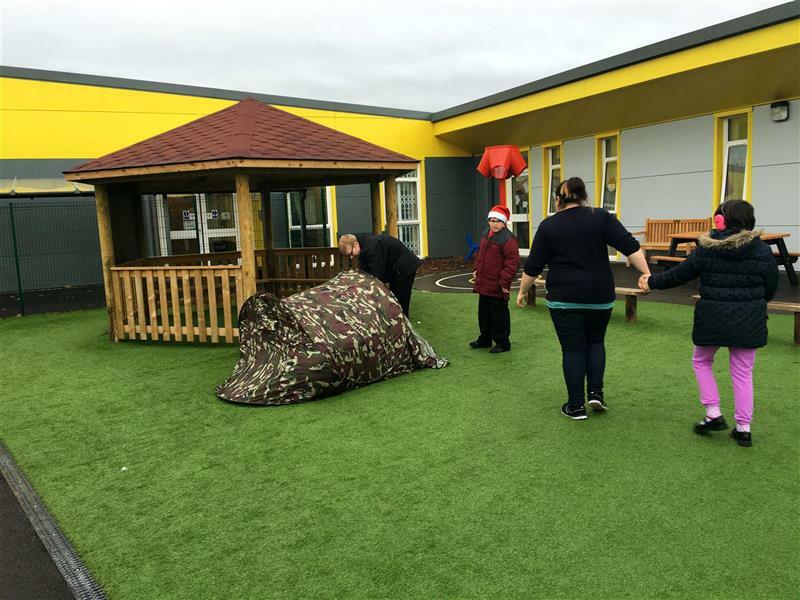 Our next task was to ensure the rest of the playground environment facilitated play and additional imaginative play opportunities. The areas we developed needed to actively encourage the children to play and occupy themselves through staff interventions. This was an important factor that Val pointed out to us. With the use of Thermoplastic Playground Markings, we managed to create a fun roadway to teach children about road awareness. It can be enjoyed by children on bikes and in wheelchairs and includes realistic road inclusions such as roundabouts, parking bays and even a Humpback Bridge. For an additional element, we used dark green Playbond to create a raised humps- when the children drive over the texture of the Playbond, they will have an additional sensory experience. It’s also important that children with special educational needs practise being safe when using the roads and develop a good understanding for future life experiences. Children can now practise what they should do in real-life situations as well as getting physically active. We also created a colourful A-Z snake through the use of our Playground Markings to engage children when learning the alphabet and encourage literacy learning. Our snake can also bring literacy lessons outdoors! 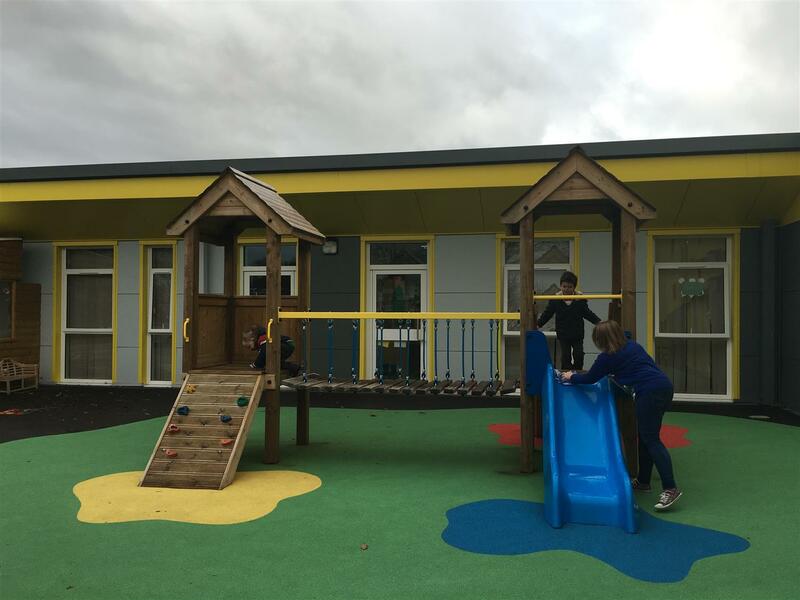 For the younger children looking to release their energy during break and lunch times, we installed our Twin Tower Unit which is ideally suited to develop them physically whilst promoting imaginative play as the structure lends itself to den-making and role play. Children will be able to climb across the Towers together and form lasting friendships. Bright Wetpour surfacing was installed underneath the Towers with splash illustrations prominent at the bottom of the slide and climbing wall to further fuel imaginations. 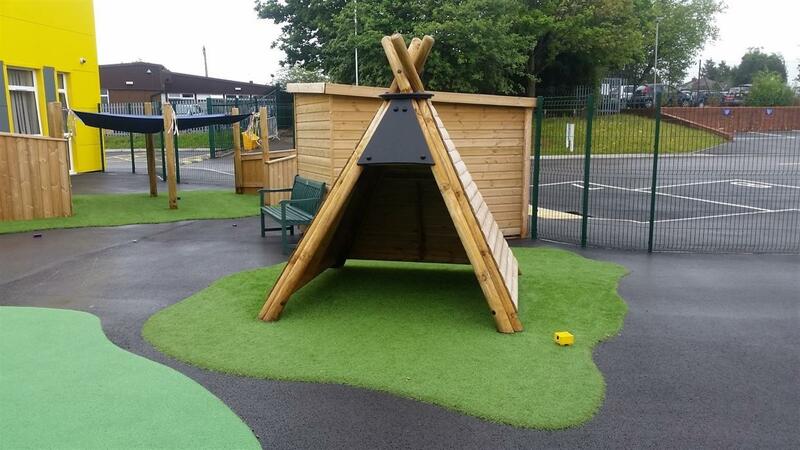 Enhancing imaginative play was one of the most important missions of this development, so we included our Wigwam in the area for further den-making and pretend play games as well as our Imagination Station. Our Imagination Station can be transformed into multiple play resources and is ideal when setting a theme for the children’s play. It contains Den Posts which gives children the perfect open-ended play experience. 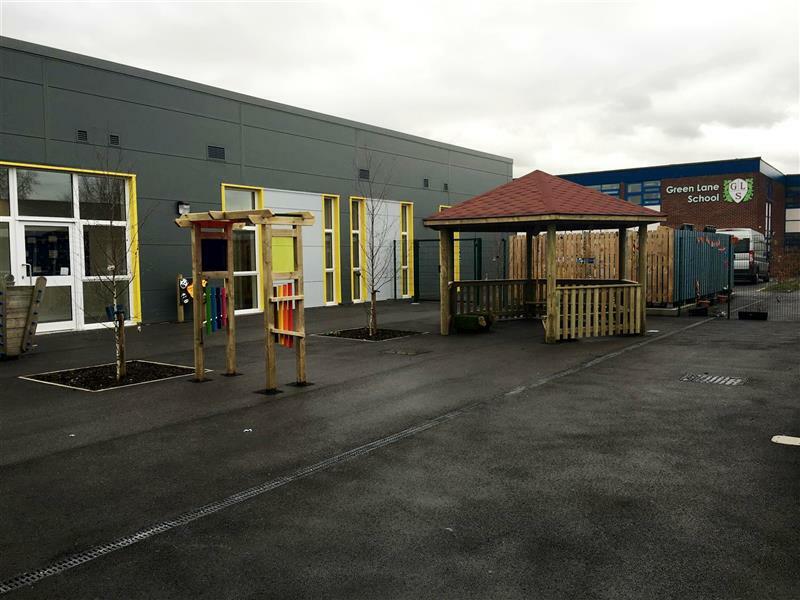 Younger children need free flowing access from the classroom to the outdoors and our Bespoke Timber Canopy solutions are the ideal way to ensure children's free flow needs are met and undisrupted. This particular structure was created with beautiful timber and includes huge windows giving the inside a natural bright feel; children will enjoy staring out of the window at possible nature and weather changes. A fenced entrance was created that can be left open or locked to help with teacher supervision. A blackboard is also attached to the gate for mark-making purposes. The indoors is the perfect hub for imaginative and creative play and is a great space for the teachers to create an exciting indoor learning environment. The other playground project was targeted more towards the secondary children and included zones different forms of play ad learning. 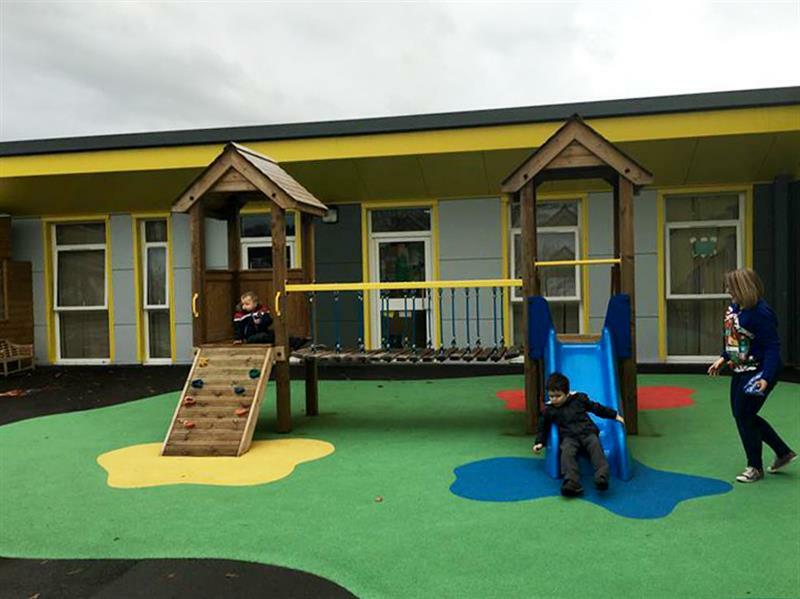 As well as obvious physical development opportunities, there was also areas for sport practise, imaginative play and relaxation. 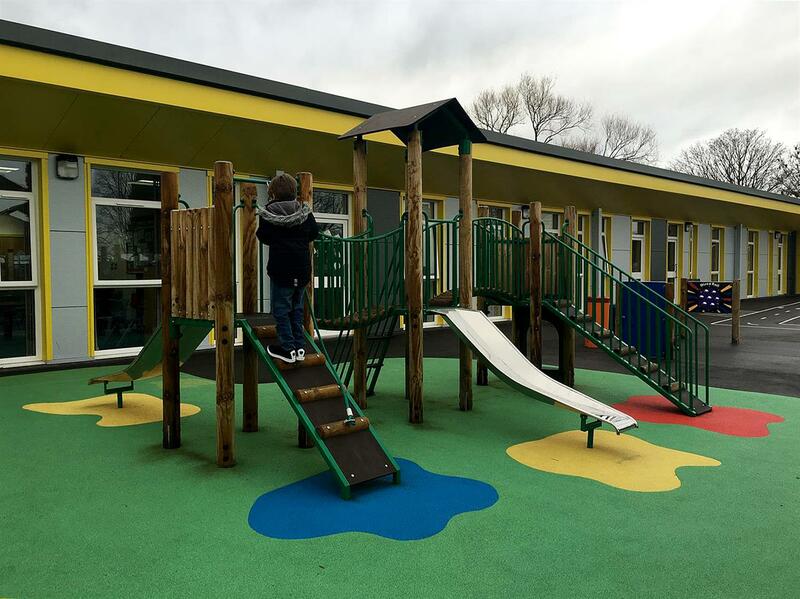 To help the children enjoy getting active, we installed a Bespoke Three Towered Unit that includes two steel slides on opposite sides, quirky arched bridges and enjoyable entry points that include ramps with ropes and unique step designs. The middle tower is particular high to suit the taller children who would enjoy climbing across the structure. Bright green Wetpour safety surfacing was used to give the area aesthetic appeal with multi-coloured splashes at the bottom of the slides and entry point to add additional fun elements to our bespoke design. To add some fun sport elements to the playground, we installed our 4-Way Ball Shoot which can be enjoyed by all children including those in wheelchairs. 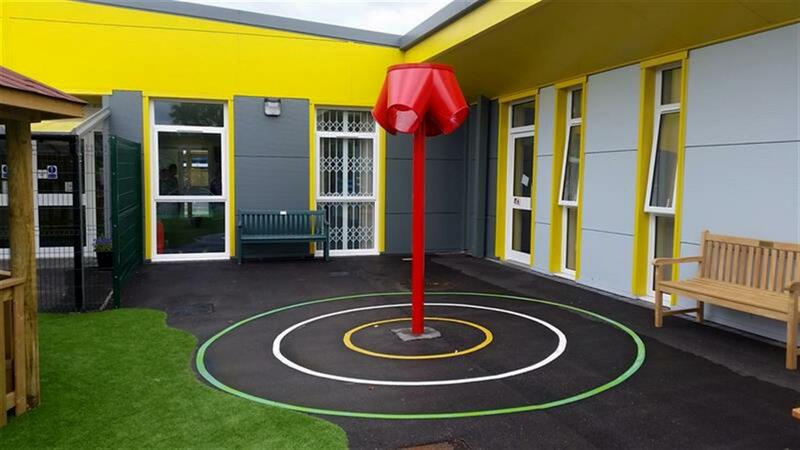 This is a great piece of playground equipment for group play as children can practise their ball throwing skills together. Children can shoot and catch each other’s shots which provides the opportunity to develop teamwork and communication. 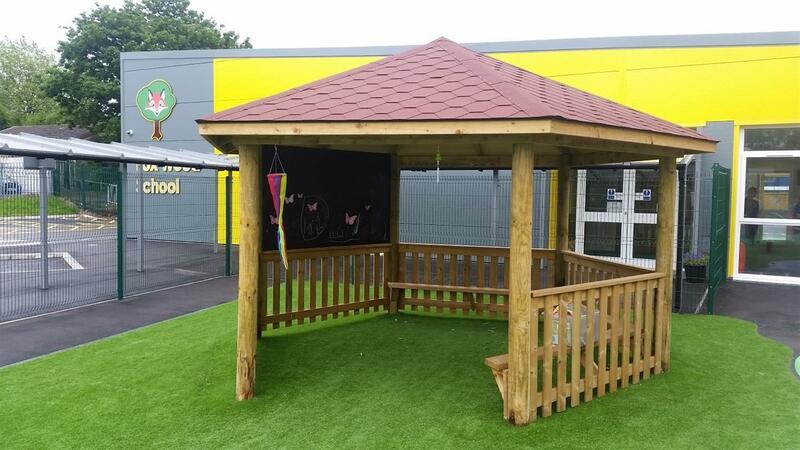 Children will always need some quiet time to reflect on the day which is why we installed our 5M Gazebo with internal seating. This is ideal for children not wanting to play on the Tower Unit as they can sit down and relax and socially interact with each other. 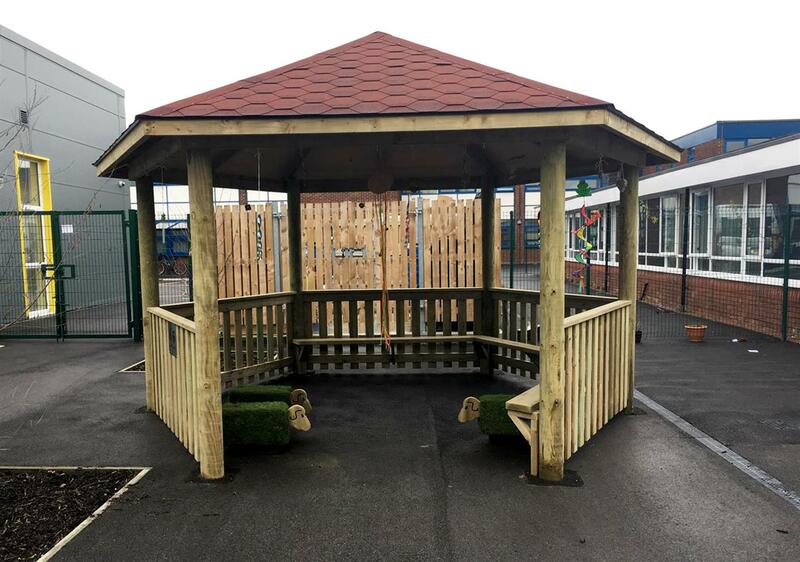 The Gazebo is also wheelchair accessible and is placed perfectly on our natural looking green Playturf that truly brightened up a once old tarmac playground. We also ensured that the area had a Wheelchair Accessible Picnic Table giving all the children the opportunity to sit together for discussions and a spot if lunch. 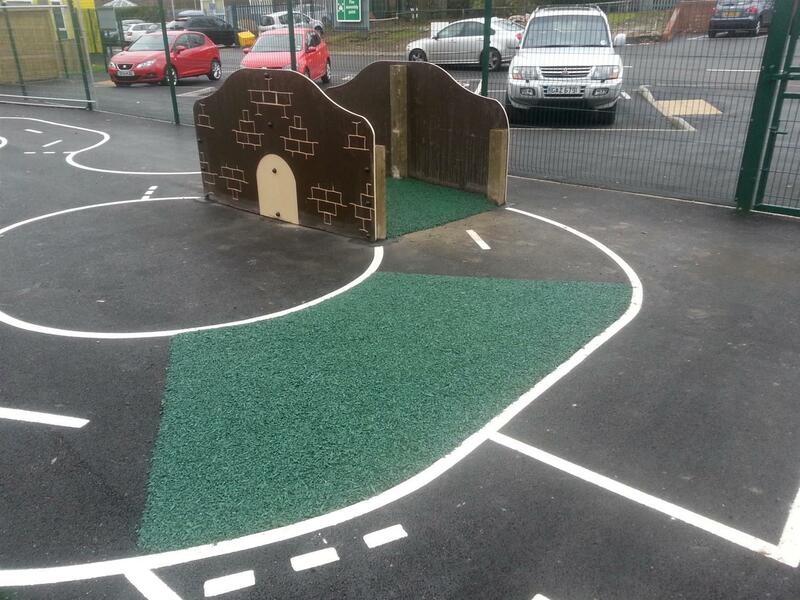 We again used Thermoplastic Playground Markings to create a realistic roadway area that children can enjoy whilst on their bikes as well as wheelchairs. 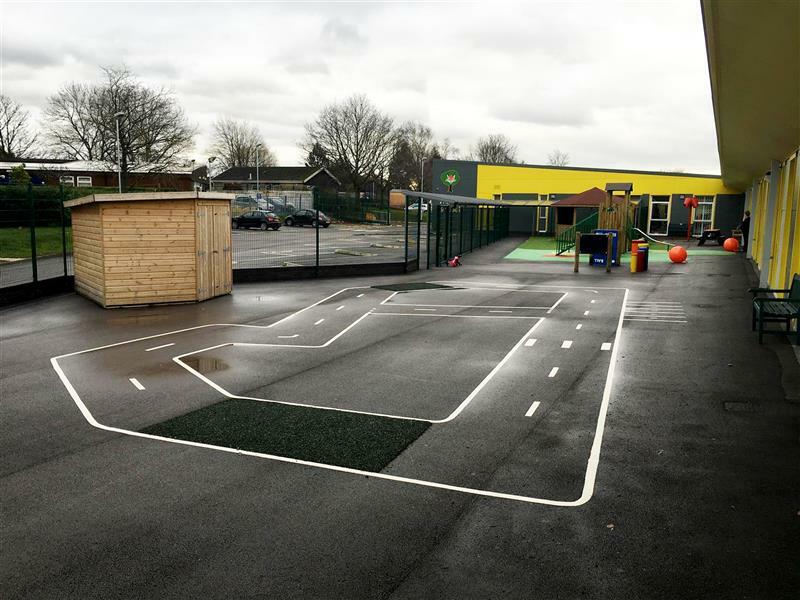 The roadway zone includes pedestrian crossings, numbered parking bays and rumble strips in our dark green Playbond to add sensory variation. Musical Play brings children from different abilities together and our African Drums were the perfect inclusion for children to learn about beat and sounds together. The drums vary in height and can have up to 5 children enjoying them at the same time. We also included two Sensory Panels, one has a music theme whilst the other is a ball maze which children will enjoy interacting with. 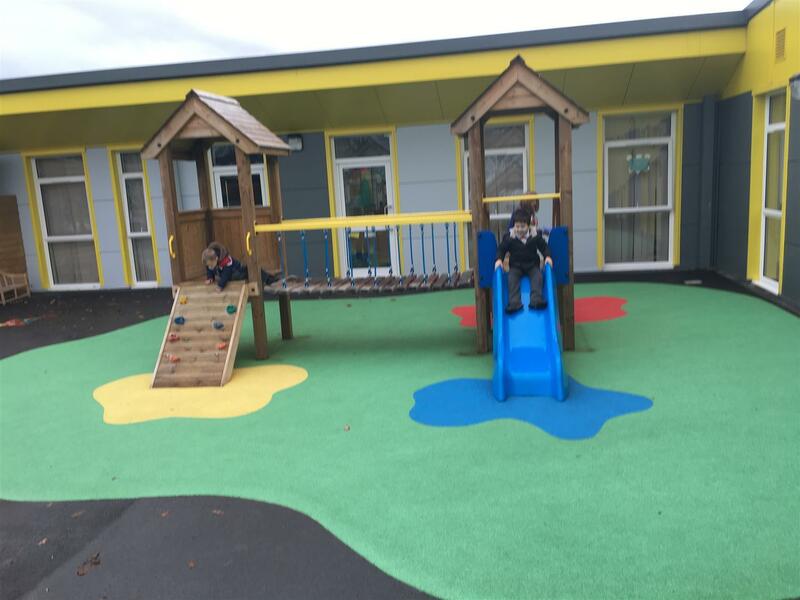 Overall, our playground development has not only bettered the lives of the special needs children of Fox Wood School but also the teachers as we’ve created a safe environment that supports staff supervision. 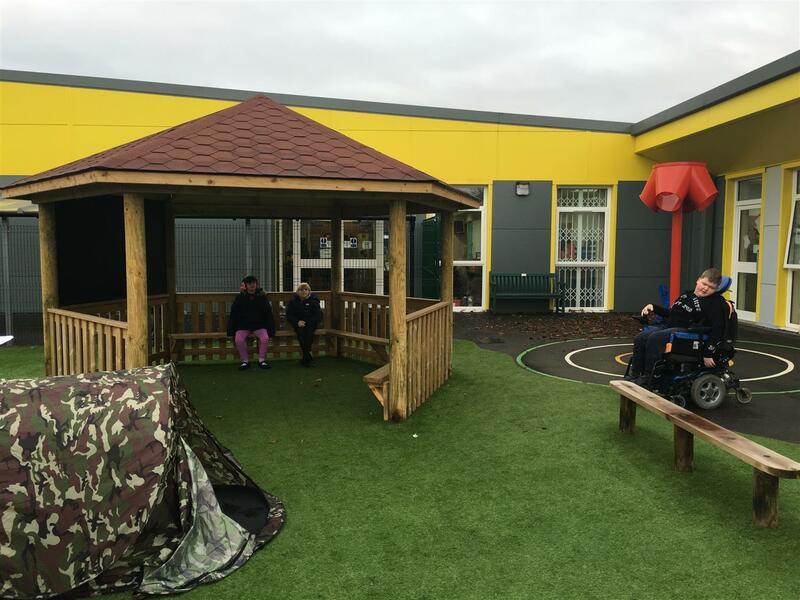 Our playground equipment can be bespoken and tailored to specifically challenge and develop children with special educational needs and we’re able to create outdoor learning environments that cater for a wide-range of abilities and levels. Our Pentagon Team is not only made up of outdoor learning professionals but also specialist SEN consultants who have a backgrounds in Special Educational Needs. Simply Contact Us through the website to learn about how we can help develop the playground of your special needs school.